A 19-year-old Edmonton-area man left a quadraplegic last year when he jumped into a foam pit at a trampoline park is suing the business for more than $17 million. 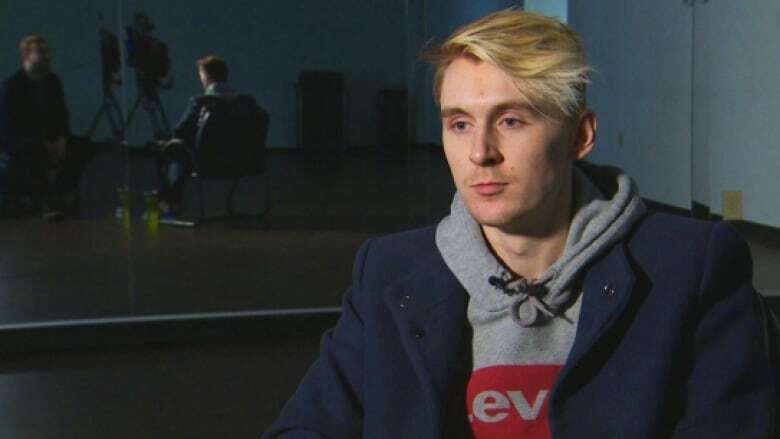 A 19-year-old Edmonton-area man left a quadriplegic last year when he jumped into a foam pit at a trampoline park is suing the business for more than $17 million. In a lawsuit filed in October, Landon Smith and his parents blame Jump Park Trampoline in Sherwood Park, Alta. for a "complete failure to make sure the premises were safe and fit for use by Landon and all others using the facility." Smith, who lives in Sherwood Park, outside of Edmonton, was at a birthday party at the trampoline park in January, 2017. His first jump that evening was a front flip into a pit filled with foam pieces. He broke his neck when he hit the concrete floor below the foam. "It was kind of like a spinal shock at first," Smith told CBC News. "I couldn't speak. I couldn't move, obviously. "It was very, very scary. I definitely thought I was going to die. I thought that was it for me." Smith's friends couldn't see him underneath the foam pieces. They assumed he was playing a prank. "I was probably under the pit for probably, like, five to 10 minutes," he said. "It was definitely not a joke," he said. "In that split second, life had changed forever." An emergency crew removed Smith from the pit and transported him to the University of Alberta Hospital. Diagnosed with a C5 burst fracture with injury to his spinal cord, Smith was left paralyzed from his chest down. 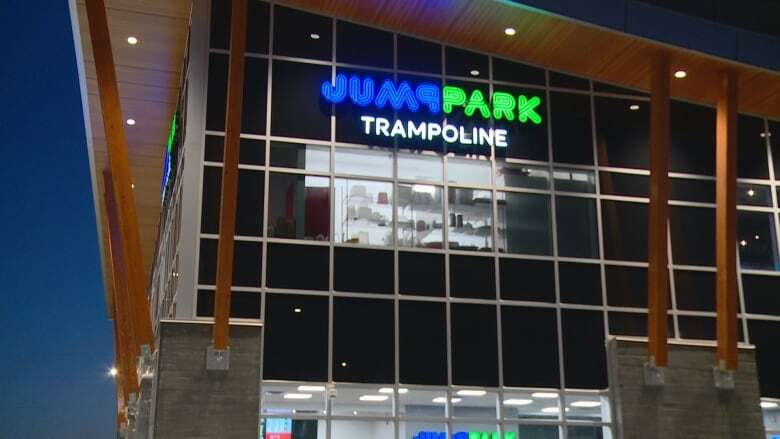 In October, Smith and his parents filed a lawsuit against Jump Park Trampoline, the foam pit supplier, the foam pit installer, a manager, supervisor and two employees. "There were no warning signs or indication that Landon could expect anything but a soft landing," the family alleges in its statement of claim. "Instead, it was a concrete trap — the impact of which devastatingly and permanently changed his and his family's lives." The statement of claim, filed in Edmonton Court of Queen's Bench, says Smith underwent spinal surgery at the U of A Hospital three days after the accident. He had to be resuscitated when he stopped breathing after the operation, the lawsuit says. Smith spent two months at the U of A Hospital and nearly four months at Edmonton's Glenrose Rehabilitation Hospital before he was discharged home on July 21, 2017. The lawsuit seeks damages totalling $17.1 million, including $15 million for Smith's loss of past and future income, cost of past and future care, cost of modified accommodation, and loss of earning capacity. The lawsuit also seeks $400,000 for his pain, suffering and loss of enjoyment for life, and not less than $1 million for the Alberta government, to cover past and future health services. His parents, Brenda and Brian Smith, seek $100,000 each for pain and suffering and $250,000 each for loss of past and future income, loss of earning capacity and competitive advantage, and cost of past and future care. In its statement of defence, Jump Park Trampoline and other defendants deny all allegations, including that Smith "struck his head on the concrete floor, felt his neck break on impact, and/or suffered paralysis as a result of the accident, as alleged or at all." But the defendants, who request the action be dismissed, do acknowledge that Smith was involved in an incident at the facility on the date in question. The defendants say Smith "executed an electronic waiver" before entering the facility, assuming full risk for participating in the activities and waiving his right to bring any claims against the trampoline park. They say the trampoline park was in "a safe and appropriate condition" at the time and that employees were "appropriately trained, supervised and qualified." The defendants say Smith was negligent by failing to take care of his own safety and failing to follow instructions and warnings provided by employees. 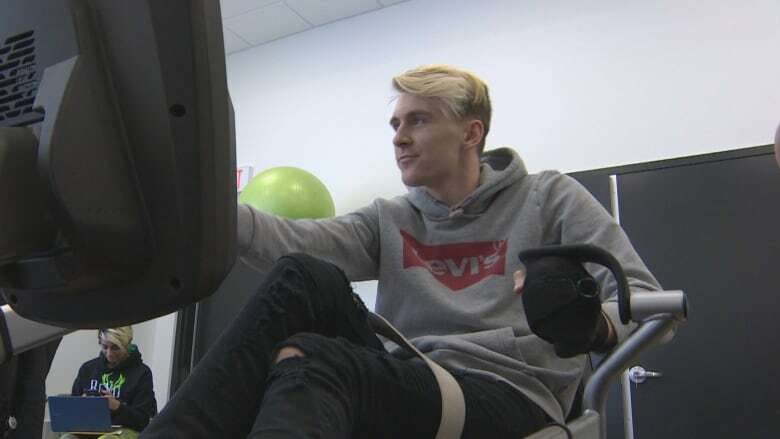 Smith currently attends ReYu Paralysis Recovery Centre in Edmonton three times a week to improve his movement as much as possible. "I am determined to prove people wrong," he said. Months after his injury, he came across a clinical trial at the University of Miami in which cells known as Schwann cells are used to repair damage to the spinal cord. This week Smith is travelling to Miami for medical and psychological tests to determine if he is eligible to be a trial participant. If accepted, he would be treated and tested, which would require him to live near the university for 10 months. Treatment costs and his accommodation would be covered by the program, but his nursing costs would not. Smith is reserved about his expectations of how the treatment could affect his ability to control his legs again. "No one really knows what could happen," he said. "I'm just excited to see what happens."